Find out more info about this event below if you want to attend. I think it'll be fun, a new opportunity for most! 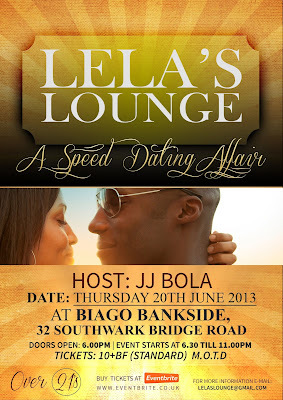 Lela’s Lounge speed dating will be a monthly social event targeting young Black professionals aged 21-33; as speed dating in London is the ideal way to meet new partners, We aim to host our events in stylish, chic and exclusive venues throughout the capital. Because of this, we strive to create a fun-filled and exciting atmosphere with a focus on your safety and privacy at all times. 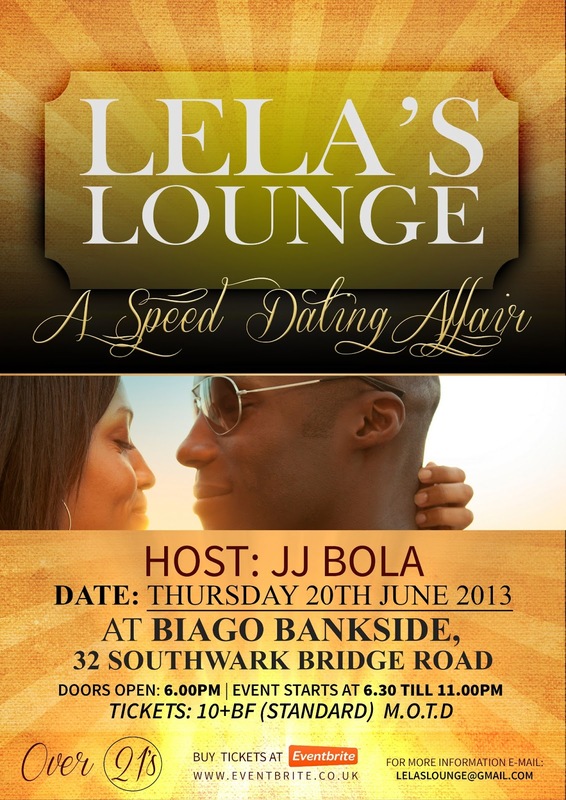 If you’re looking to meet someone new; a friend, a companion, someone to share your laughter and sorrow with, we aim to create a relaxed and fun environment where singles can meet and date for the first time. It’s a great way for you to relax and let your hair down and our friendly and knowledgeable hosts will take pride and care in creating an electric atmosphere and breaking the ice for you, each and every time.